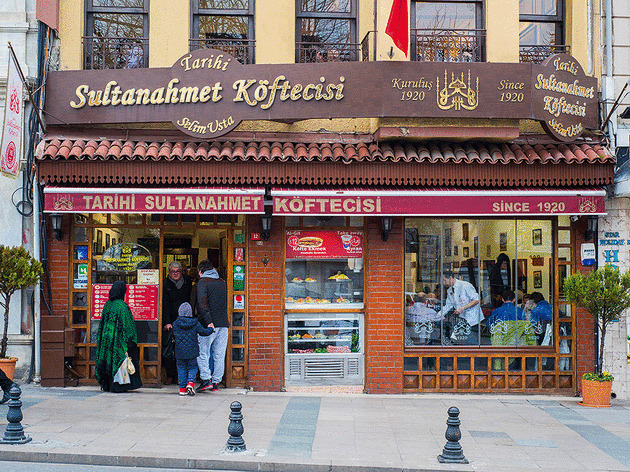 WHILE ITS IMITATORS continue to sprout like mushrooms in the city, Tarihi Sultanahmet Köftecisi continues to maintain its popularity and quality from its outpost in the eponymous neighbourhood, now managed by the fourthgeneration descendants of its founder Mehmet Seracettin Efendi. 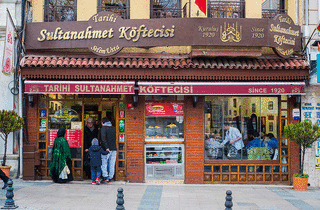 The köfte is just as tasty as it always was and the marble tables and creaky stairs still seem to date back to 1920, which is when the shop was founded. In addition to the famous main fixture köfte, which is characteristically flat and chewy, the menu also features piyaz, lamb skewers, rice, pickled peppers and lentil soup. You can’t go wrong with the delectable irmik helvası (semolina dessert) with your post-feast tea or coffee.